Whisky is made out of distilled grain. Its ingredients vary from barley, rye, maize and wheat. 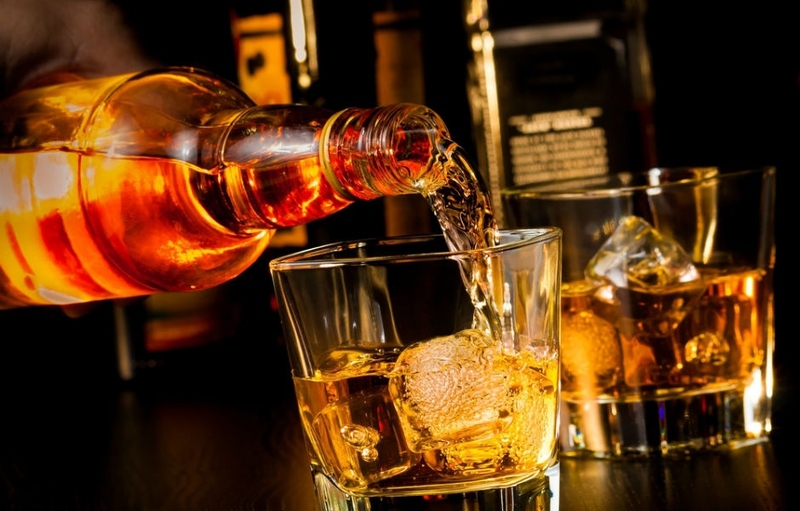 Through a brewing process exceptional tastes are produced such as malted whisky. Quality drinks have unique tastes that only discerning drinkers can distinguish. It is often stored in casks to protect it from direct sunlight. The longer it stays, the sweeter it gets. People like enjoying a glass of whisky during a celebration, at home, or in a club. It can be taken during the day or at night. Did you know that you can enjoy quality homemade whisky? Soaking the barley: Place all the barley (10 lbs.) in water container and soak to saturation. You will need about 4 or 5 large metal pots and a copper pot still. Stir constantly to avoid uneven mixtures. For stirring, use large stirring utensils that can fit in the oak barrel. Wait a few days as the fermentation process begins. Spreading the soaked barley: Using the flat cooking trays (3 or 4), place the soaked barley in a shallower container and let the malting process begin. This takes about 2 to 3 weeks. Ensure that this is done in room temperature. The sprouting process: Keep checking the barley for the emergence of little green growths. Once you notice these sprouts, drain the barley from the water. The germination process releases an enzyme called amylase, which turns barley starch into sugars. Starting the drying process: In order to prevent further sprouting, the barley should be dried. This is done with a hot air kiln to spread heated air over the mixture. At this stage, the whisky may be turned into Scotch whisky by giving it a unique, smoky taste. The procedure uses peat fuel, which is enriched with carbon from plant matter. The grounding process: The malted barley is ground by placing it in a kiln to dry. Different results are obtained by varying the size of the kiln, fuel type and the temperature levels. Once dried, the paper mill is used to grind it into powder form. Producing wort: Still the ground barley and five gallons of water are added. After stirring the mixture, it produces the sugar rich liquid called wort. Converting the wort into alcohol: Allow the mixture in the previous step to cool. Add one cup brewer’s yeast and close the still to allow the fermentation process to begin. Different fermentation containers may be used for the same results. Follow the assembling instructions when installing the vessels. The distilled alcohol: This is produced after 3 to 4 days of the fermentation process. After this, transfer the alcohol into the oak barrel and close the lid. The aging process: For the finest distilled alcohol, the liquid is placed in an oak barrel for as long as 3 years or more. The secret to making whisky sweeter is time -- the longer it stays, the finer the taste and flavor. This is the first part in learning how to make whiskey with barley, and then let's move to the next part -- distilling. Wash still and spirit still are needed and in single malt distillation processes, copper stills are used. Then pour the fermented wash into the wash still. In order to obtain the alcohol, boil the fermented wort at 200°F for 3 hours. Since alcohol boils at a lower temperature than water, it will be trapped as vapor on top of the pot still. So allow it to cool so that it can turn to liquid alcohol. Cool the wash for up to 8 hours. Pour the wash into the wooden oak bucket and then pour it into a spirit still. Boil the wash for 5 hours non-stop with a temperature of 200°F. Allow the wash to cool down for 10 hours. The first 15% of the wash is called the heads. It is lower in alcohol concentration. Collect it and pour it into the wooden oak bucket. Keep it for use in future wash collection. The next 70% of wash is called the hearts of the run. It is higher in alcohol and it has a better quality. Pour it in the wooden oak barrel to make single malt whiskey varieties. Keep it in the wooden barrel for 3 years or more. The remaining 15% is called the trails. This is also low in alcohol content. Pour it into the oak bucket for use in future batch. Collect about 10 pounds of untreated corn kernel. Place the corn in a burlap sack and place it in a large container filled with water. Let them soak completely for the best results. Use a rolling pin to crush the kernels and pound them until mashed. Dry them and place the mashed product into a big container of boiling water. Allow it to boil to about 86°F and then add yeast. Shake it gently for about five minutes. Notice the change in smell and the dough like appearance. Keep the mixture in warmth for a week to allow the fermentation process to take place. Put the mixture in a cooler jar and close with a plastic cap. Be patient as you allow the fermentation to continue for 10 days. Find a cloth strainer and use it to extract the mixture from the copper still. Ensure that the cloth used is clean. The liquid obtained is a pre-whisky contortion. Increase its alcohol content by placing the still over medium heat for one hour and heat it to 200°F. Alcohol will evaporate at 172°F which is lower than water at 212°F. Collect the evaporated alcohol and enjoy refined alcohol. For the best whiskey, give it time to age. You can let it stay for as long as you want. In most cases, 3 months is enough but you can keep it locked for longer. Popular whiskey brands undergo refined aging in wooden barrels for a distinct taste. You can be creative with your homemade whisky by adding flavors like spices before storage in the barrels. So we have shared with you 2 ways on how to make whiskey. Do you think you can make your own tasty whiskey at home on your own? Server responsed at: 04/23/2019 8:23 p.m.